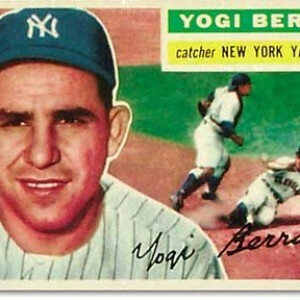 Yogi Berra & Investing — Eclectic Associates, Inc.
Yogi Berra without a doubt, made countless impacts in the world of baseball and in the hearts of Americans during his 90 years on earth. Here are some memorable Berra- isms that even managed to touch the world of investing. You should not put off investing because you think that a better time or a better opportunity will come later. The time to begin investing is now; your future is not going to wait for you. Do not focus too much on short- term gains and losses, but on what you can control. When investing, keep your long-term goals in the forefront of your mind. Investing is a marathon, not a sprint. To be a successful investor, your investment returns need to outpace inflation and taxes. “I tell the kids, somebody’s gotta win, somebody’s gotta lose. Just don’t fight about it. Just try to get better”. It is impossible to be a perfect baseball player or investor. Not all of your investments will work. Mistakes can benefit you in the long run. When you make them, take a step back and analyze what went wrong. Avoid repeating the same mistakes, and learn from them. If you have no plan, you will not end up with desirable result. Without thoughtful steps, you will most likely find that you have taken steps backwards.